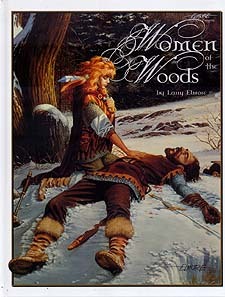 There are many interesting women in the realm of fantasy art, but no one can make them as vivid as fantasy artist Larry Elmore. Travel with Larry as he introduces you to ten of the most interesting magic users, spirits and witches you have ever encountered. This 48-page hardbound book is packed with sketches from the master of fantasy art and includes an encounter to set the mood of the art. Also included in this high quality publication are 'd20' statistics, so any Dungeon Master can drop one of these interesting characters into any campaign.